This past weekend had us in a collective state of WTF? We were shocked, angry and hurt. Here’s why: over the last several years, we’ve seen the Dove brand working diligently to break barriers when it comes to redefining standards of beauty. We were excited about how they were celebrating women of all shapes, sizes, and colors and being forceful and forthright about representing all of us in the media. We paid special attention to how Dove supported our blogging communities – whether with We All Grow Latina or Mom 2.0 or Blogalicious and more, the Dove partnerships have been thoughtful and genuine and those qualities have shone through. When we work with them, we always feel that they are coming from a place of respect and collaboration, and that has made them a trusted partner over the years. 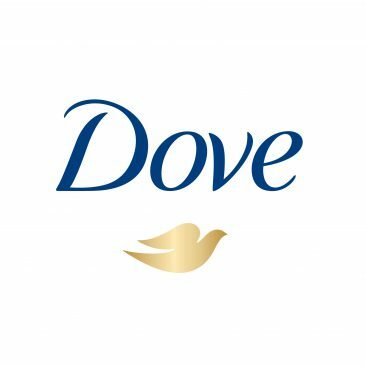 Before I had a chance to reach out to Dove, I was pleasantly surprised to find that they had already reached out to me. This made a lot of sense; this is the Dove that I know and respect. We hopped on the phone yesterday morning – their entire team with Pamela King and me. And, the first words out of their mouths were: “We are deeply, deeply sorry.” There were no excuses or corporate ‘splaining – just a promise that an action plan was being developed to ensure that something so offensive would not happen again. The Dove team that has worked on several influencer campaigns and conference sponsorship activations with the Blogalicious community are all women of color – and they were clearly upset and offended by the ad. They assured us that the entire brand accepts full responsibility for the offense and that management at the highest level is involved to make things right. On Sunday, during our closing Fireside Chat at the conference, Amber Wright asked me how leading with my heart has shaped how I do business. In this case, it’s made me consider the fullness of the issue for all parties involved. As my husband always reminds me: “Taller trees experience stronger winds.” Because Dove has made the conscious decision to be a warrior in the fight for positive and diverse representation in retail and the media, they are treading in waters that can be very dangerous if not handled with the utmost care. They also have pushed us to expect more from them. To expect better. This is a good thing. If this incident causes them to tighten up their internal processes, globally, hopefully, that standard that will become the norm across all major brands. As we wait for the specifics of their action plan, let’s continue to expect more and expect better. To use our voices and our platforms to call foul when we see it, and to speak our truths. While we have a ball connecting and collaborating and lifting each other up in-person and online, let’s never forget that our Blogalicious Mission is 3-fold. Serving as “a think tank and mouthpiece for causes, policies, and issues affecting the multicultural digital space,” means that Blogalicious will continue to seek out answers from and forge partnerships with the people that are making a difference. It may get a little messy at times, but that’s what it means to be on the front lines. Read their updated statement HERE. A really helpful perspective, Stacey. Thanks for writing. You’re right that we have grown to count on them to lead and get their messaging right. I join you in continuing to expect better.